Conclusions, how to write them in such a way that your reader feels grateful, thankful, relieved and satisfied…dare I say privileged? While it’s impossible to please everyone, there are methods writers have been using for some time now that may be of assistance. Whether you’re a novelist, journalist, student, internet marketer or blogger it doesn’t matter. 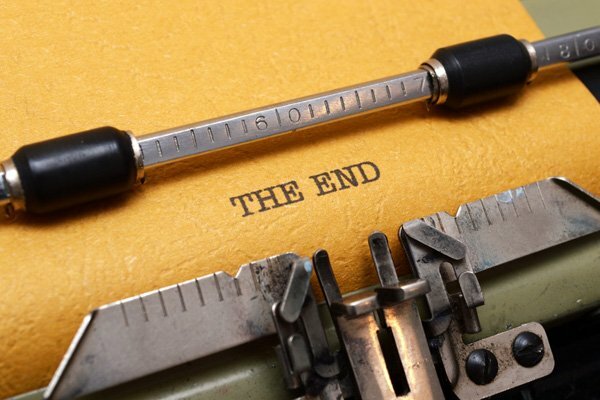 Everyone knows how important conclusions are, and readers carry certain expectations with them when they arrive. They expect to be satisfied. We’ll begin with the most powerful tip first and then work our way down the list. Go out and get ten of the most prolific works relevant to whatever subject you intend to write about. Be specific and go straight to the contemporary title holders. What niche are you writing in and for? Who is your audience and who do they feel are the authoritative wordsmiths? Example #1: If you’re an Urban Fantasy writer with a thing for Vampire love triangles and eBook series, then go straight to the top 10 in Amazon’s “free” bestseller list. There are always new big hitters in every genre on the Free Kindle Boards. Wait, they’ve got 500 reviews? What are their conclusions like and what are their readers saying about them? Example #2: If you’re an online affiliate marketer (where conclusions and final calls to action mean success or failure) then it’s simple. Who are the best affiliates for any given product? Find the 10 most highly rated affiliate articles in Google first page search results and devour them. How did they build up to the end? Why did they get such an incredible amount of comments and social media engagement? This exercise conveys truths and experience to you that nothing else can compete with. It’s experimental knowledge, rather than something purely conceptual. The trick is sticking to your genre or niche, so you can clearly see what’s working. Steve Jobs was one of the men who brought this concept into the tech-savvy culture. Start from the end user-experience, the ideal model, and work your way backwards. The Academy Award-winning screenwriter and American novelist John Irving is known for beginning all of his novels with the last sentence. Why not start from the ending and work your way backwards? Now, Mr. Irving certainly doesn’t write novels in reverse. But, when it comes to wire-framing and mentally outlining what you plan to accomplish, you can feasibly make the first thing you write the last line, paragraph or final scene. The deeper and more real you make it, the more powerful your overall perception of the total task will be. With the ending always completely in focus, everything else is influenced. Become the reader and feel what you want them to feel. See what you want them to see. Visualize it until you know your exact destination. Some might argue that by the time readers arrive at your conclusion over half of the heavy lifting should be done. It’s about effectively building momentum at a rate that neither bores nor mentally fatigues them. Objectively, where does the conclusion really begin? It’s hard to say when you get to thinking about it. Especially if you begin your work with the last sentence. There are countless writing techniques at your disposal to deepen the reader’s personal, imaginative and emotional investment in the writing. Use and personalize them. Professional public speakers are the first to tell you that it’s the presence they leave on the stage when they’re done that makes all the difference. For most of the people in that audience, the last few minutes are the ones they’ll remember the longest. Those and the first couple. Drop some intellectual napalm out of nowhere! Set fire to what, by design, you had them expecting. This is either going to sway them so deeply they’ll bow at your proverbial feet, or they’ll ash out, cursing, wailing…and they’ll never forget what you wrote for the rest of their lives. Either way the impression is solidified. If that’s one of your goals, similar to a public speaker’s, then this is definitely a reliable method to consider. Obviously this won’t apply to everyone, but whenever you can add a little pinch you should do so. Bittersweet is closer to reality. It seems more authentic. We crave closure, hope for the best, but understand that oftentimes even the most amazing and fulfilling closure can come with a price. This entry was posted in General Writing and tagged conclusion, conclusion writing tips, how to write a conclusion on November 28, 2013 by Steve Aedy.